Every movement has its moments. The quest to defeat HIV has had more than its share, both exhilarating and devastating. Yet through it all, the global community has come together in the most positive ways: Researchers remained undeterred. Advocates were indefatigable. 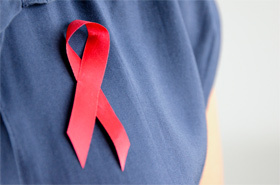 Leaders chose to prioritize HIV, not ignore it. Patients bravely refused to succumb to resignation. Today, we have the knowledge and tools to send the HIV epidemic into irreversible decline. The key is getting everyone living with HIV, who is eligible for treatment, on antiretroviral drugs (ARVs), as soon as we possibly can. This week in Kuala Lumpur the World Health Organization (WHO) announced its new Consolidated Guidelines on the Use of Antiretroviral Drugs for Treating and Preventing HIV Infection, a document whose long descriptive title belies the extraordinary developments it relays. In a nutshell, the document recommends a major stepping up of HIV treatment with proven drugs. And in doing so, it lays the path for a quantum leap ahead in bringing the epidemic under control. We are at a tipping point in the fight against AIDS. The evidence is overwhelming that antiretroviral drugs (ARVs) work, and work powerfully. They prolong and save lives. They make people living with HIV healthier and bring security to affected families. As ARVs lower the amount of virus in the body, the likelihood of HIV transmission also plummets. This means people with HIV on ARVs are far less likely to transmit the virus to others. Not only are sexual and drug-using partners protected. When pregnant women with HIV are placed on ARVs, this prevents virus transmission to the child – a successful intervention that has allowed the 22 highest-burden countries to report a 38-percent decline in mother-to-child transmission of HIV since 2009. With this knowledge in hand, WHO is recommending earlier initiation of treatment for people with HIV, raising the “CD4 count” threshold that would qualify a person for treatment from 350 to 500 (the CD4 count is a key indicator of the strength of the immune system – the higher the count the stronger the immune system). By getting more people on treatment earlier, we will save lives, make people healthier and reduce virus transmission to others. WHO’s recommendations translate into an increase in the number of people eligible for antiretroviral therapy, from nearly 17 million to 26 million. This means treating adults, adolescents and children earlier in the disease cycle, as well as immediately treating all pregnant and breastfeeding women and certain populations with other conditions, such as tuberculosis and hepatitis B liver disease. If countries fully implement these recommendations, it is estimated that we would save an additional three million lives and prevent an additional 3.5 million infections – from 19 down to 15.5 million – between 2013 and 2025, over and above those saved by the current WHO guidelines. Some 10 million people are now receiving ARV therapy (ART). This signals incredible progress over the last ten years: in 2002 only about 300,000 persons in low-income and middle-income countries were able to access lifesaving treatment. The challenge now is to move from 10 million to 26 million people covered. To do so we must make meeting this challenge a global priority. We must enable everyone who is at risk to get tested, and we must act proactively to ensure that those who are eligible for treatment are provided with an opportunity to begin ART as soon as possible. There is money to get the job done, but unlocking and focusing funds requires an acknowledgement that ART is a critical path in the HIV response, complementing already proven HIV prevention strategies. Game-changing recommendations like this are best when all stakeholders are engaged in the process. For this reason, WHO developed these guidelines in consultation with people living with HIV, representatives of country programs from all affected regions, civil society thought leaders, technical experts, implementing partners, development agencies and key UN agencies. Sending the HIV epidemic into a tailspin is a long-sought dream. Making it a reality requires the kind of bold action that WHO, and the many experts that advise this agency, are guiding the world to take.